Education Forum Tonight in Grand Prairie, Texas featuring the candidates for TX House District Representative 105 ~ Mrs. Linda Harper-Brown and Dr. Rosemary Robbins. Y'all Come. Click Here for the particulars. TX House Rep Linda Harper-Brown Has a Party! So, who would throw this Fancy Fundraising Party for Mrs. H-Brown? As you can see, her Tweet only gives last names of other current Republican House Reps in North TX, an Unnamed Longhorn that was Alive and "Over 200 Unnamed People." 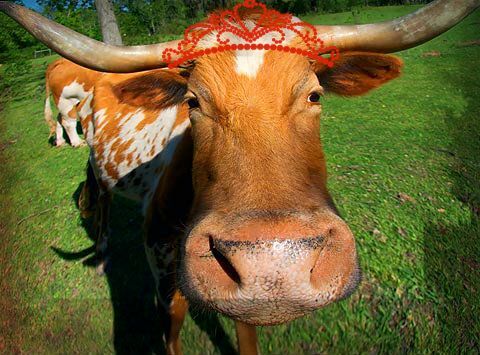 We hear from our friends in Irving, TX that Mrs. H-Brown loves nice things! Even if it's been questionable as to how she acquires them! Apparently, from all accounts, the "Fancy Fundraising Party" was Friday from 1~3 PM at the Mansion on Turtle Creek! Awesome!! We had a peanut butter and jelly sandwich for our lunch Friday! It was Delish! Click here to see a listing from an Events Calendar for the Big Fundraiser at the magnificent Mansion! Looks like the Texas Civil Justice League was involved? Wow! This party makes us wonder since it was so far away from the suburbs of Grand Prairie and Irving and TX House District 105 voters! And then there's this April 20, 2012 News Update ~ we wonder if the Texas Civil Justice League knows??! 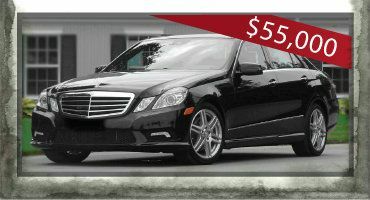 TX State House Rep Linda Harper-Brown Fined $2,000 for Failing to Disclose Mercedes from State Contractor!! What's a TX HD105 VOTER to do??? WOW! Looks like Mrs. Linda Harper-Brown has the SAME problem with representing only HER people as presidential candidate Mitt Romney has with only caring for HIS people! It's a terrible trend in politics. And really leaves a very BAD TASTE in our mouth. P.S. In case you missed it...this is the same Mrs. Linda Harper-Brown who simply loves our Texas Railroad Commission Chairman Barry Smitherman! We wonder about his ability to separate "regulation from politics" based on his Facebook page. It's one big biased political firestorm over there!! And here's a sampling of Mrs. Harper-Brown's people who must feel the same way she does since they're all members in good standing of the Texas Conservative Coalition Research Institute (TXCCRI). We have to wonder about their research. 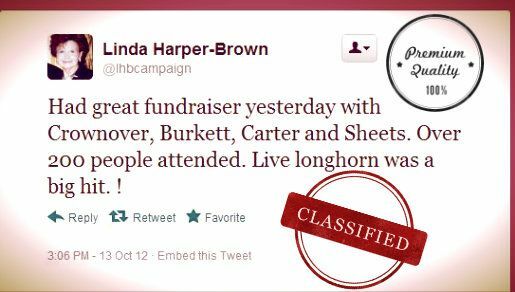 Mrs. Linda Harper-Brown reminds us that Grand Prairie, TX business owners are "nice people" in her tweet. Well, yes. We agree. But truly, Mrs. Linda Harper-Brown, you really do need to apologize to all the Democrats AND Republicans in Grand Prairie, TX who also happen to be business owners since you clearly don't give one twit tweet about any of them! !